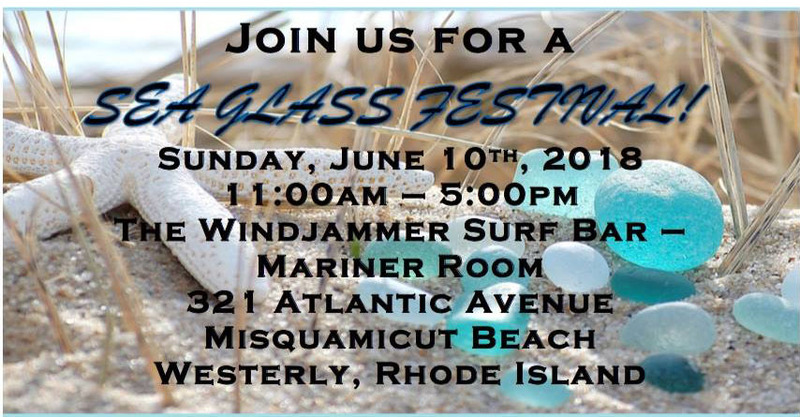 The Windjammer in Misquamicut host the Sea Glass Festival on Sunday, June 10th from 11am – 5pm. This is a great place to find one-of-a-kind gifts and art work by local artists featuring sea glass. A raffle to support local Westerly charities will be held and admission to the festival is free!